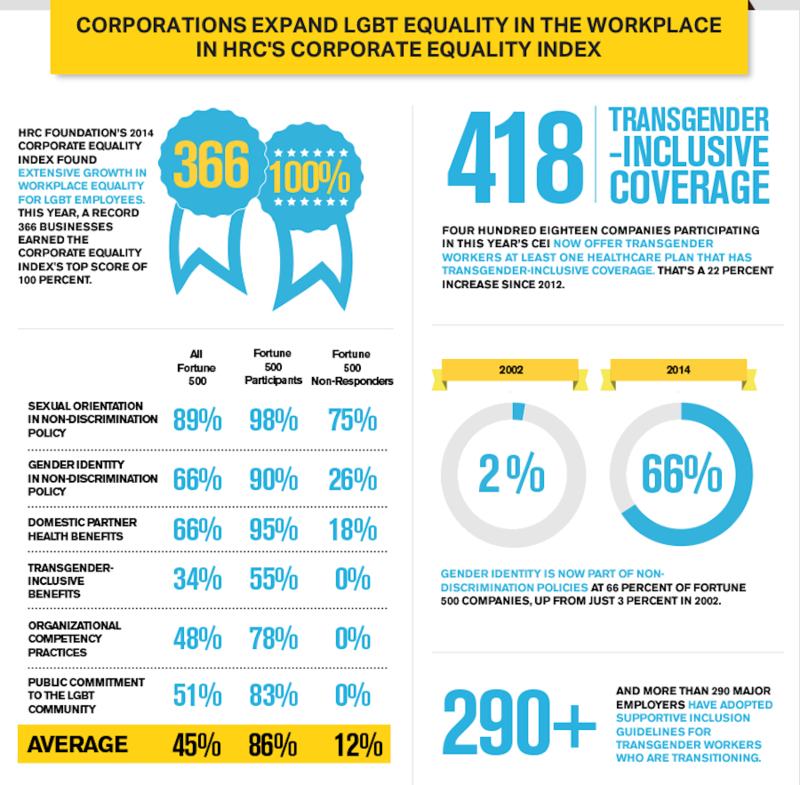 "The Human Rights Campaign seeks to improve the lives of LGBT Americans by advocating for equal rights and benefits in the workplace, ensuring families are treated equally under the law and increasing public support among all Americans." It's a refreshing sentence to read, in our COLLECTIVE opinion, and we've made a solemn promise to rally behind the likes of anyone making strides to that end. 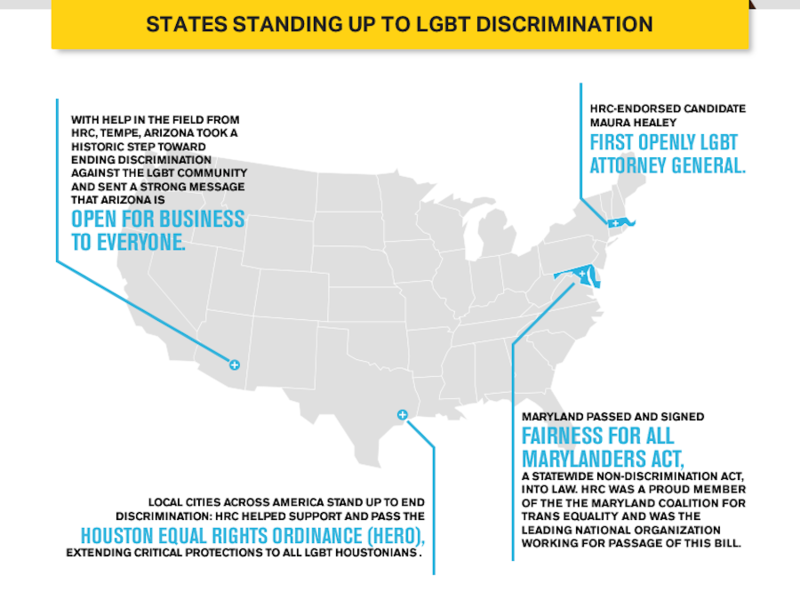 "HRC envisions a world where lesbian, gay, bisexual and transgender people are embraced as full members of society at home, at work and in every community." That's makes two of us (actually, over 1.5 million of us). In attending last year's HRC Gala, we glimpsed those that rally with us, and it was nothing short of intoxicating (by both the literal and metaphorical definitions). Yes, the gala is the largest fundraiser in our state that specifically benefits the LGBT community, but it's also a celebration of the successes that year has seen. 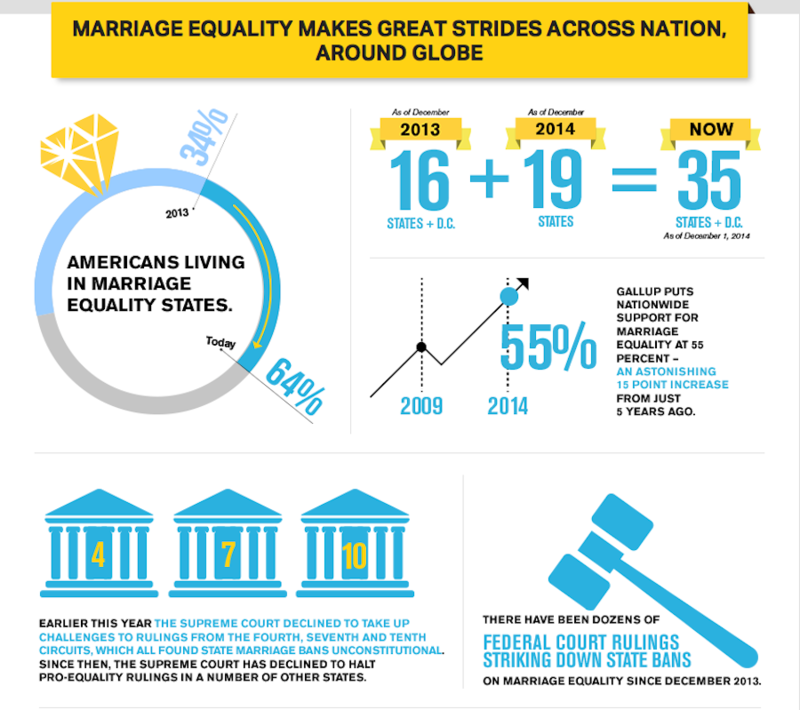 Let's talk numbers, shall we? 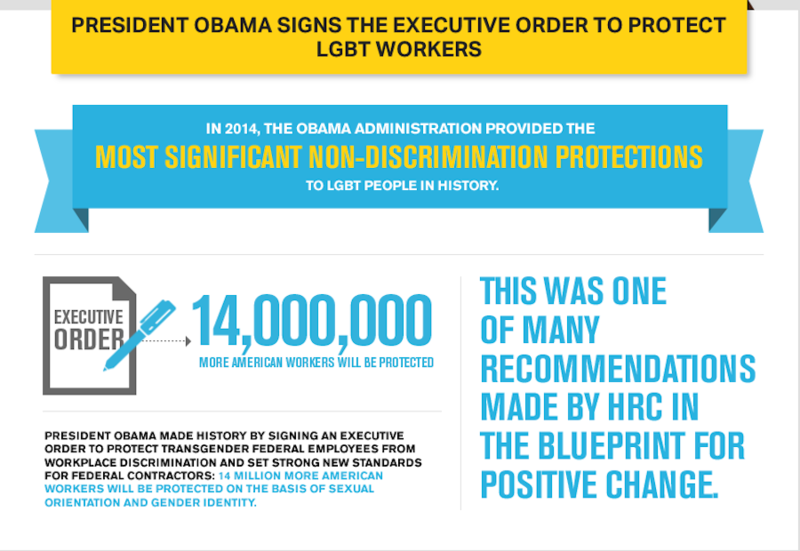 Last year yielded marriage equality in over 35 US states (with over 64% of Americans living within one of them), and President Obama made history by signing an executive order to protect transgender federal employees against workplace discrimination. 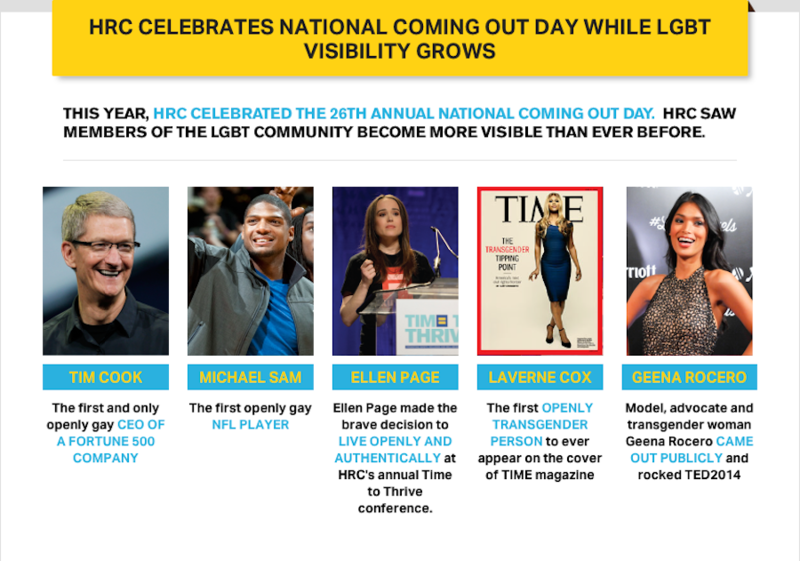 We also saw the first openly gay CEO of a Fortune 500 company, the first openly gay NFL player, and the first openly transgender person to appear on the cover of TIME Magazine (holler). 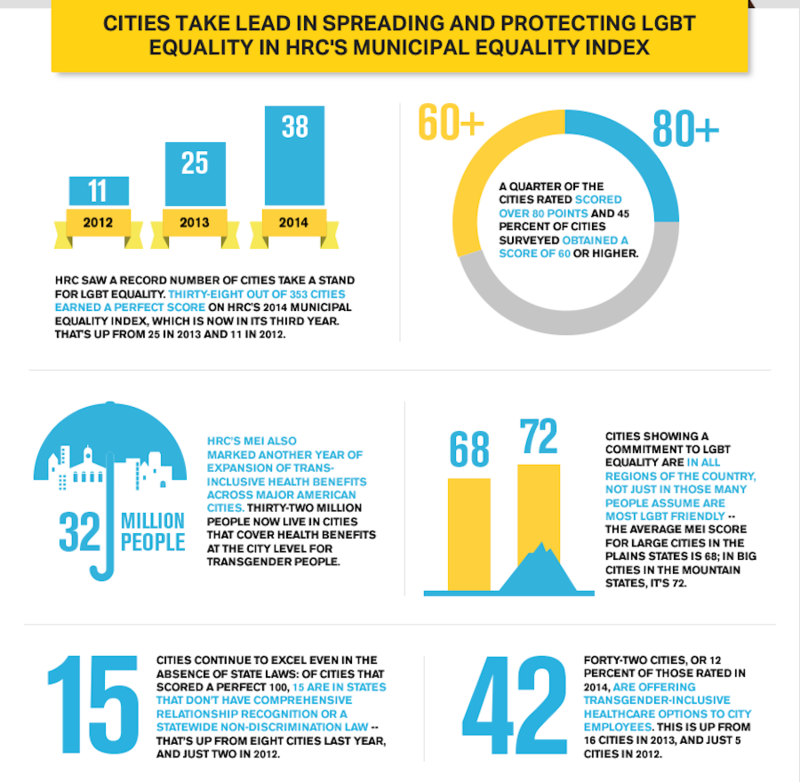 In short, the HRC is doing some serious good, and the nation is taking notice. We COLLECTIVELY jump at the chance to wave a banner in the name of all the folks we love, so we're thrilled to attend the 11th Annual HRC Gala on Saturday, June 27th. Get your tickets now (or get them by May 18th for an early-bird discount) to join nearly 1,000 of Utah's most influential citizens for what promises to be a exceptional evening of drinks, dancing, and phenomenal support of a supremely righteous cause.